On the most recent episode of their podcast, The Music Snobs asked if the Internet are the only band moving R&B forward. Much debate and dissection followed, but what was never questioned was the validity of that initial assertion. This is because the Internet are doing something different from their peers, while also taking cues from groups of yesteryear. Rather than relying on outside producers and features, Ego Death is, for the most part, an in-house affair. 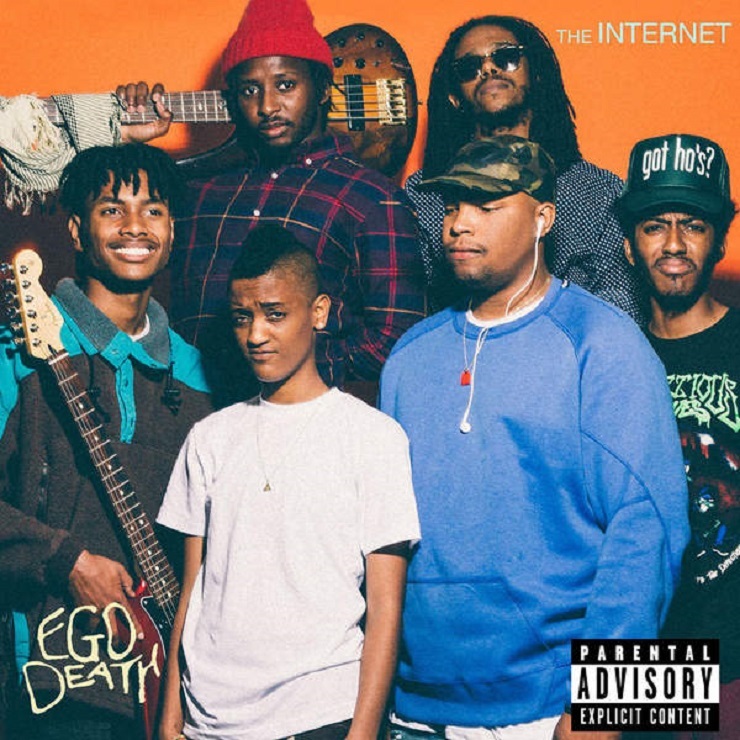 What began as Syd tha Kyd and Matt Martians' project has evolved into a full-fledged band, a rarity in today's R&B landscape. Of course, the How It's Made story is only interesting if the music bangs. Fortunately, bang it does, but more in a way you're already familiar with than brand new territory. Few things have become as repulsive as the "neo-soul" label, but if you enjoyed turn of the millennium music by the likes of Erykah Badu and company, Ego Death will scratch that 15-year itch. Song for song, there's hardly a miss in this bunch. Having been enticed first by the bass line of single "Special Affair," listeners are faced with album opener "Get Away," a marching nod to the stress of trying to make it and the necessary opiate of escapism. Throughout the album, Midtown Pat's bass tones combine with Syd's vocals to form the perfect high end/low end duo. This is especially true on the more stripped down "Just Sayin'/I Tried." "Under Control" is a particular standout, as a soft guitar strums over Slick Rick's "Children's Story"-style drums with punctuating keys. In it, Syd sings promises to the object of affection that she's about to blow up, assuring her she'll be well taken care of, "When I'm a legend baby." It's an audacious theme, softened by Syd's gentle delivery and beats that win you over long before you have time to contemplate the harsh disposal of her expired infatuations. The Kaytranada-assisted "Girl," the second single, is an intoxicating aberration in that it sounds more like a Syd tha Kyd feature than a the Internet song. Songwriting sensation James Fauntleroy appears on "For The World," a breezy meld of Michael Jackson's "I Can't Help It" and Pharrell's "Frontin'." The rest of the guest features are somewhat extraneous, often overshadowed by what the band has brought to the table. Vic Mensa and Tyler, the Creator both lend unremarkable vocal performances, while you'd be hard pressed to even identify Janelle Monáe in the otherwise brilliant "Gabby."